Cleaners Warehouse was established in 1981 by 3 partners with more than 15 years experience in the cleaning industry. Today it is still owned and operated by the same family and proud to have amongst its many customers many of those that we were supplying back in the early 80's. We are now the preferred supplier for several major hotel chains as well as Australia's major health care group and the NSW State Government. We strive to ensure total customer satisfaction and this means offering the best quality product backed by an efficient delivery service. We carry large stocks to guarantee quick order turnaround and buy in bulk to give you the best price. We will never be undersold on a quality product. All equipment sold by us is also serviced by us and we are authorised repair agents for most major brands. Our workshop is well equipped to handle all repairs. With 5 delivery vehicles local orders can be delivered same day or next day. Please give us a try and see what good service means. 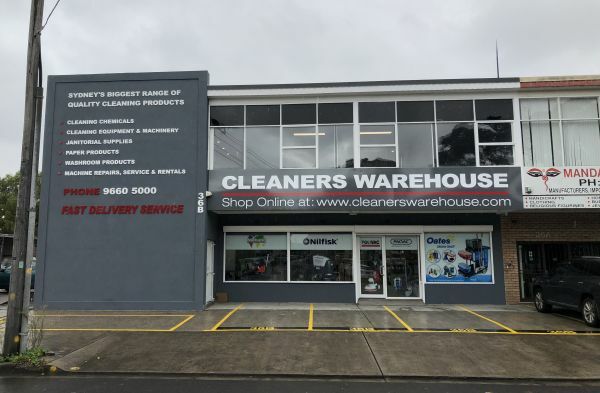 Cleaners Warehouse has many excellent products relating to cleaning and maintenance services, so please do not hesitate to ask our friendly staff to assist with your enquiry. All stock is of the highest quality and we provide Australian product whenever possible.